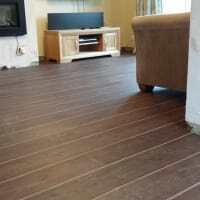 Supply and installation of all types of flooring including Carpets, Laminate, Vinyl, Karndean, Amtico, Wood and Safety Flooring. Domestic and commercial work undertaken. Call for a free no obligation quote and measure service. Samples can be brought to your appointment if required for added convenience. Over 15 years experience in the industry.References available on request. CSCS Qualified, Karndean Advanced Level Installation Certificate held. Excellent service, friendly and professional, highly recommended. Thank you ever so much for installing the new flooring at my new house. It is far better than I can ever imagine. 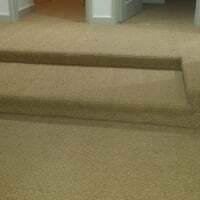 The workmanship is excellent and you have done a wonderful job in such short time so I could move it quickly. Thank you again! What a great job! We had carpet and wood flooring laid. The finish is spot on and the room was left immaculate. And fantastic value for money compared to shop based carpet fitters. I can not recommend Adam highly enough. Arrived on the date arranged with all the materials. Carried out extensive necessary pre levelling of our kitchen/diner to correct many floor level issues and damaged areas. Site cleared up well after completion. I would thoroughly recommend Adam to everyone that wants a quality job at a reasonable price. 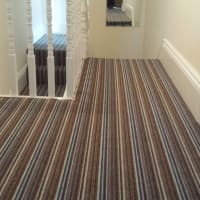 Adam fitted new carpet to our lounge, stairs and landing along with luxury vinyl tiles with feature strips to the hall and kitchen. His craftmanship and attention to detail are second to none. While in the planning stage his (and his wife's) advice and guidence were such a real help to us. Would I use Adam again? Too right I would! Adam (and his wife) delivered a very efficient end to end service, were very professional and very friendly, doing everything they said they would. Adam prices very competitively. 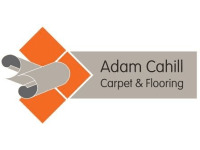 Adam is a very clean worker who fits carpets beautifully. We have used his services for years. 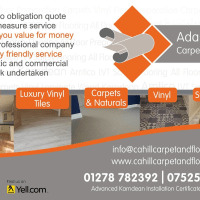 I would recommend Adam and we will be using his services again.